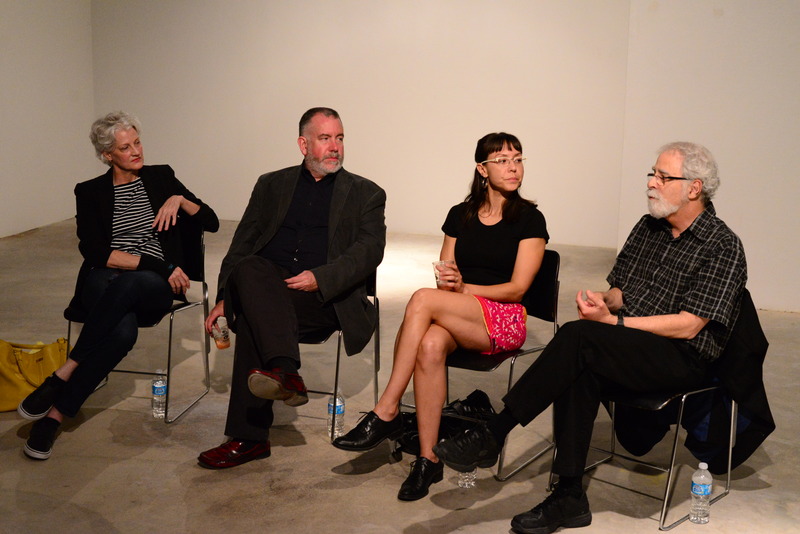 “Why A Texas Biennial?” — Good Question! 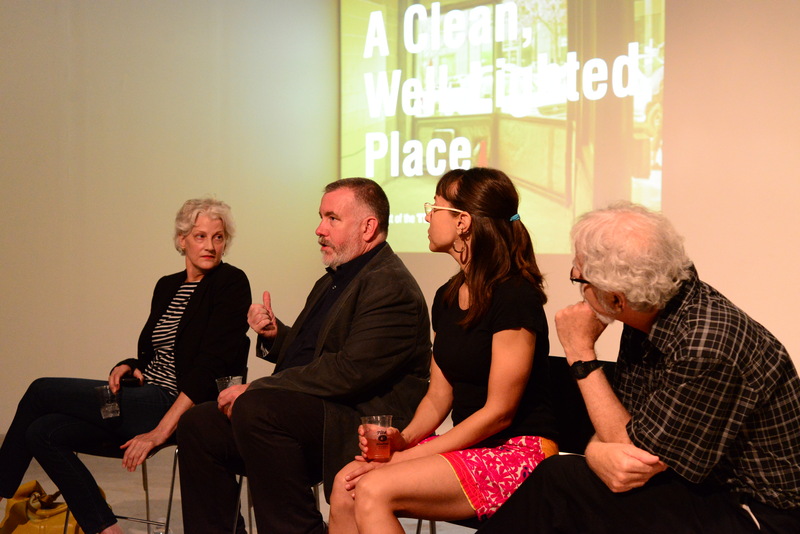 Engaging panel discussion at The Blue Star Annex on Thursday evening. The subject was TX*13, the Texas Biennial survey of contemporary Texas art that is up at Blue Star Museum until November 9. 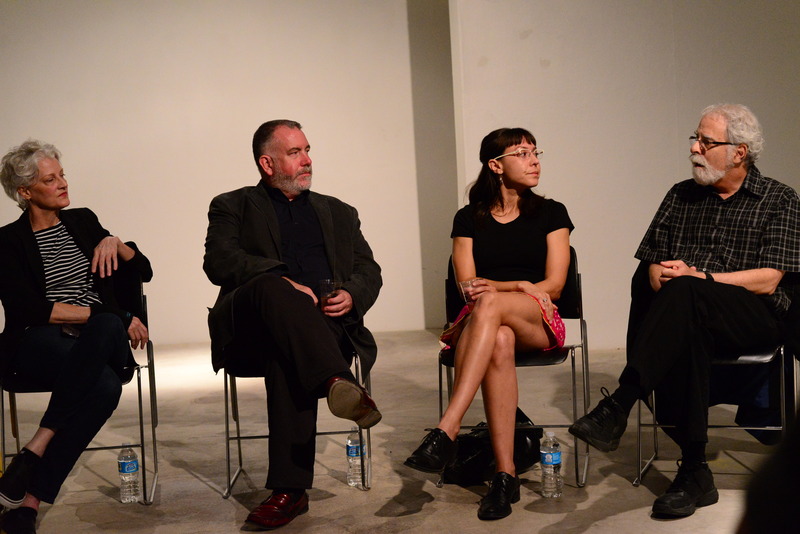 The panel included Shea Little, Texas Biennial Founder/Director; Virginia Rutledge, Texas Biennial Curator at Large; Julia Barbosa-Landois, participating TX*13 installation artist; David Rubin, San Antonio Museum of Art Contemporary Art Curator; and Steven Evans, Blue Star Consulting Manager. 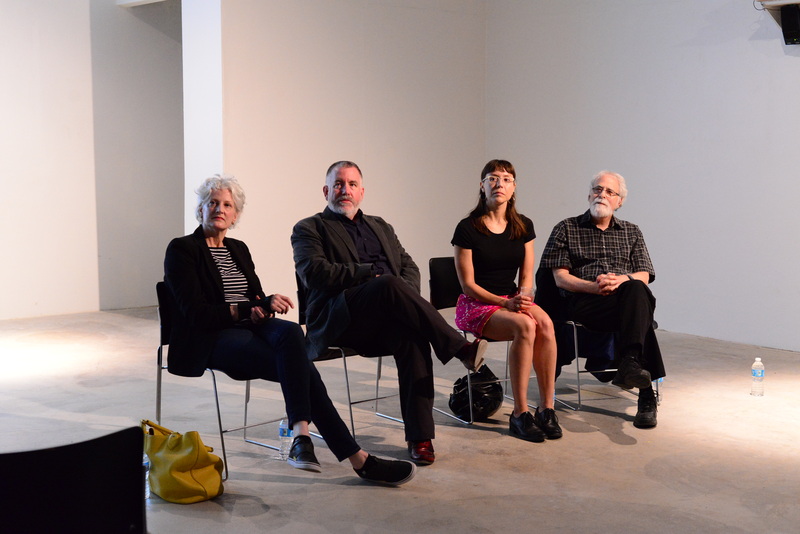 The space allowed for an intimate discussion of the Texas Biennial and a bit of its history, with a great give and take from the audience. One of the aspects that I found most intriguing is that the creation of the Biennial was artist-driven as opposed to curator-driven. This is the same group of artists that were integral in the creation of the very successful East Austin Studio Tour, which originally birthed in 2002. The Biennial popped in 2005. These and the fledgling West Austin Studio Tour all now exist under the umbrella of the nonprofit, Big Medium. This group had the desire to give a large regional platform specifically to Texas-based artists. They called it a “Biennial” because, as Little semi-laughingly shared, “it had cachet.” Gotta call a spade a bloody shovel, right? The prime principle was to unite artists from all over the state. It now stands as the longest running state biennial in the US. The Texas Biennial is rather unique, because unlike other Biennials — there are over 100 world-wide now — it does focus on artists from a single state. 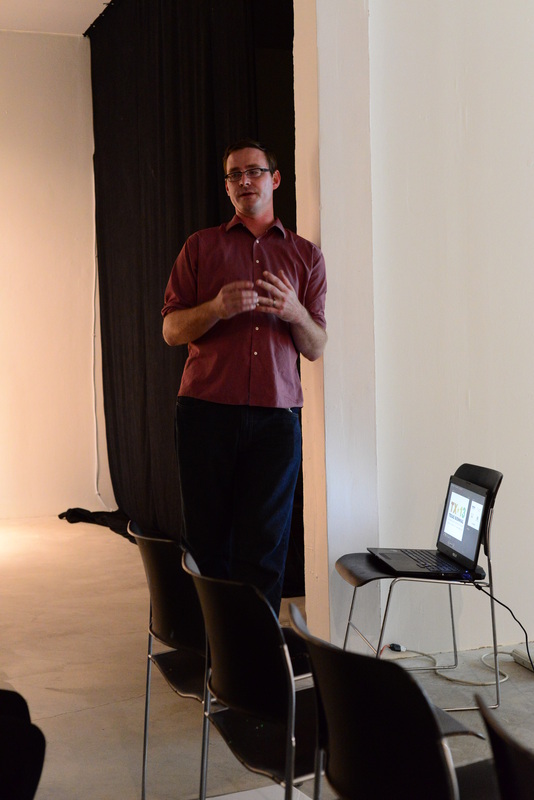 From the beginning, the process of the Texas Biennial has been very collaborative. As Virginia Rutledge pointed out, Little has always sincerely welcomed and embraced the spirit of experimentation, growth, and change. Numerous arts organizations, curators, as well as private and public sector donors have contributed to the ongoing evolution and success of this undertaking. Obviously, this is a big wheel to keep turning. Dedication and funding are required in large and constant measure. In addition to the aforementioned dedication, the constant has been change. Originally, the show was based solely in Austin at multiple venues. It has had solo curators, panels of curators, multiple sites. 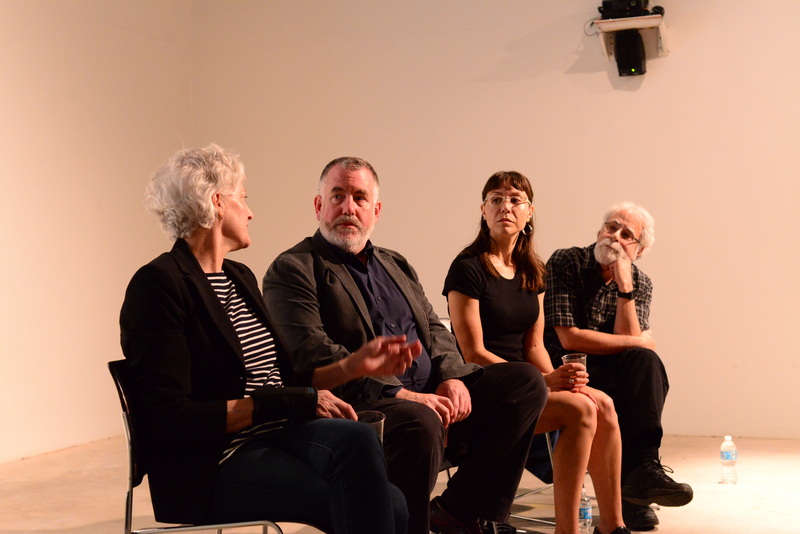 It seems the leadership is constantly asking itself provocative questions: “What’s wrong with the biennial model?”; “What opportunities are there to be created around the model?”; “What is worth continuing to do?” And always striving to remain true to the original artist driven vision. For the first time, this year’s edition is gathered at one venue — San Antonio, at the Blue Star Art Museum. There are satellite curated events separate from the open call throughout the the state, inspired by and running in tandem with the main event. The open call generated over 4000 entries. The decision was made to go back to the panel model of curators. The curators did not collaborate and none had veto power. They got to choose what they wanted to choose, and those choices were anonymous. The reason being, as Rutledge pointed out, some curators are real career makers and breakers. There was a desire to not give weight — positive or negative — to the curators’ final choices. An interesting and cogent point. In the end, 69 pieces were selected including installations, performance art and video, as well as the idioms of photography, print, sculptural works in a variety of media, and of course, painting. David Rubin shared his curator’s point of view on the panel, and his criteria are very forthright: 1) Visual engagement; 2) A fresh and unfamiliar edge — something that takes you where you haven’t been: 3) Accessibility in a public venue — this is about considering the audience and the social/political content of a piece or the lack of it. In terms of the result of the curatorial process, Julia Barbosa-Landois posited a view regarding the seeming minor representation of Latino art in the exhibition. This brought up an interesting give and take about the possibilities at hand. We wondered about how the reality of self-selection or self-censorship in the application process may have played a role. 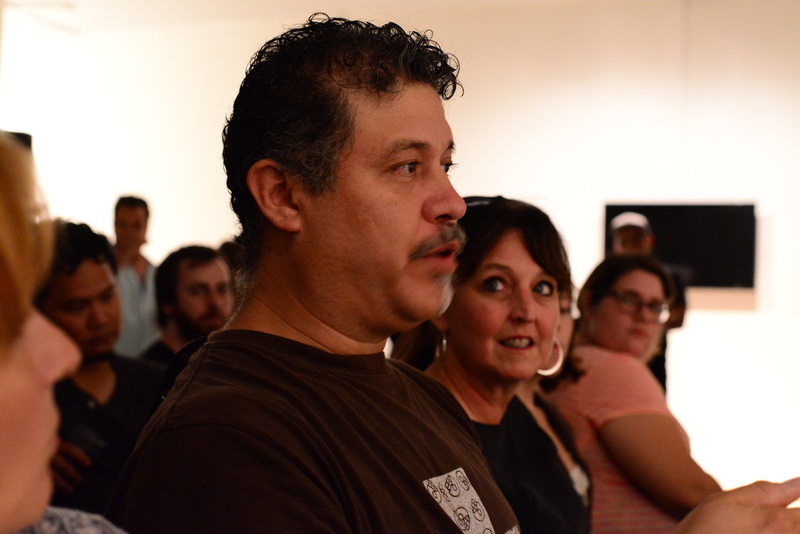 Local gallerist and artist Luis Valderas questioned whether this was important when one was discussing abstract art. Did it matter to the art? The ethnicity, or for that matter, the gender of the artist? Of course, in contemporary art, abstraction is only an element of the movement. David put forth the idea that contemporary art isn’t one thing or another, it’s a continuum — abstraction to figuration and all the gradations in between. It was a wonderful and stimulating conversation among a group of people that truly care about art in a very visceral way. The barrier between panel and audience melted away and it was really quite nice. To view the complete album, click here. ← A Streetcar Named Desire — Don’t Miss it!